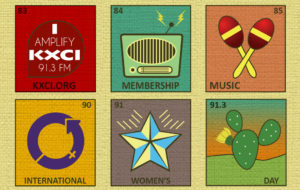 KXCI Commemorates International Women’s Day with a great lineup of our women public affairs programmers, DJs, special community guests, and plenty of fantastic music by women artists of all genres. In fact, we have more programming than will fit into one day, so we invite you to tune into KXCI at 91.3 FM on Sunday, March 5th from 3:00 pm to 6:00 pm and on Wednesday, March 8th from 7:00 am to 8:00 pm.Support for KXCI and this special Women’s Day programming is provided by Marshall Foundation. Marshall Foundation enhances the lives of Tucson and Pima County women and families through support of charitable organizations involved in education, social services, and early childhood development.We’re really excited about our great community guests. Below are some highlights. 4:00 pm-5:00 pm Round Table Discussion: Maggy Zanger, Professor of Practice School of Journalism, University of Arizona and Middle East journalist will interview authors, poets and scholars representing Pakistani, Italian, Islamic, Afghan, Chicana and American perspectives on feminism today- nationally and globally. 5:00 pm–6:00 pm Music– Maryann Beerling– One of the original “Broad Perspectives Radio” collective members and 2017 IWD catalyst will play iconic women artists. On Wednesday, March 8th from 7:00 am to 8:00 pm KXCI women programmers will play women artists from many genres- from old favorites to the newest artists, Americana to international. And throughout the day they’ll weave in brief interviews of young women who take part in the Women’s Foundation of Southern Arizona Unidas program. The segments will focus on topics such as what feminism means to them, the struggles that young women face today, and inspirational women. Unidas brings together a diverse group of high school aged women from across the community and trains them in leadership, philanthropy, grantmaking, and social justice issues that affect girls in greater Tucson. Carolyn’s note: That’s me at 3:30 p.m. on Sunday, my first time interview on a radio show. I did co-guest host once for their Mele O Hawaii program (also on KXCI on Saturdays, 6 to 8 a.m.) a while back, but that was a different role. 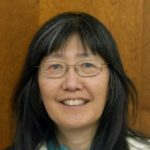 Listen to me discuss with Amanda about the WWII Japanese American internment, a dark time in U.S. history. I helped create the National Commission which investigated the wrong. Just listened to my interview on KXCI about creating the National Commission which investigated the Japanese American internment, still a timely issue. Don’t miss the 3 exhibits at the Tucson Desert Art Musuem, ongoing till 4/30/17. And if you want to see more specifically on the Gila River internment camp, drive up to Chandler Museum to see their exhibit (till summer, 2017). And I’m still trying to catch “Allegiance” musical film starring former internee George Takei, which opened on Dec. 13, 2016. Discussion by women after my interview about Women’s March and International Women’s Day on March 8, as well as immigration.